There are a few hot trends in interior design right now, and one of the hottest is Boho style. We thought we’d take a look at this trend and suggest some flooring styles that will fit right into your Boho apartment. Boho is a trend that originates from the clothing industry. It features mixed ethnic styles that showcase your travels around the world. The perfect boho style apartment would feature a range of colours, mismatched furniture, different wall and floor fixtures and a welcoming atmosphere. The exotic style originated in the 1700s and is generally associated with artists, writers and intellectuals looking for an alternative style to the accepted fashions of their time period. The style was formed after the end of the French Revolution, when artists became deprived of the old system of patronage where wealthy clients supported the artists. This left the artists poverty stricken, which led many to lead a nomadic lifestyle living cheaply and wearing worn out and unfashionable items of clothing. However, Boho style doesn’t only refer to clothing and the homes of these artists also underwent changes in style. Plain Carpets – Plain carpets but with bold colours are a good choice for replicating Boho style in your home. Patterned carpets aren’t a great choice because if you are choosing to replicate Boho style completely it’s likely there will already be lots of visual clutter in your home. Engineered Wood – Perfect or laying big rugs you may have brought back from abroad, engineered wood is a good choice for Boho style apartments. We have a range of natural wooden floor coverings perfect for this use. 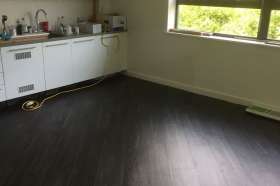 Vinyl Flooring – A more modern alternative, vinyl flooring is just as good a choice as the others on this list. This stylish flooring is hard wearing but a variety of different ranges has made it an even more viable option for Boho Style apartments. At Reform, we have a team of expert flooring fitters, all of which are trained in the installation of all of our products. We will only ever use our fitters in our work, never subcontractors which helps us ensure we can maintain our high standards at all times and leaves our team accountable for their work. Regular spot checks also help us make sure that our work is being carried out correctly. Contact us for more information on our range of floor coverings. Call us on 01603 879359 or email us on sales@reformflooring.co.uk.